Lundi 11 février à 20h, c’est à un concert dans la plus pure tradition judéo-andalouse des Piyoutim que nous invite la communauté israélite de Mulhouse. Le cantor Moshe Louk et son orchestre donneront à découvrir dans la synagogue de Mulhouse, une tradition musicale séfarade conservée depuis l’Espagne aux théâtres et cabarets de Paris, New York et Jérusalem, en passant par les mellahs du Maroc. Une musique qui a acquis ses lettres de noblesse en parcourant le monde, en suivant les pérégrinations des Juifs du Maghreb. Klezmokum has extended it’s “Old & New Gold ” program from last year with a tour again this year in Holland.. It’s a program of their most popular pieces, with Michael Moore on clarinet and saxes. Jo Amar was one of the great voices of Moroccan-Jewish music. He was an exceptional intepreter of Sephardic Jewish liturgical music as well as folk song. L’association AMJ has two more concerts this Fall in November. au Temple de Genthod, 1294 Genthod-Bellevue (Genève, Suisse). Mugny (accordéon), Frédéric Berney (contrebasse) et David Morhain (percussions). Koncert kanadské zpěvačky, bývale členky Semaforu (Lenka Hartlová), s Izraelským virtuozem a vynikající českou kapelou. Ashkenazi-Sephardic hudební fusion a ethno-jazz. Puvodni i tradicni skladby v neobvyklých aranžmá. Yair Dalal: oud, housle, zpěv; Lenka Lichtenberg: zpěv, klavir; Tomáš Reindl: tabla, perkuse; David Dorůžka: kytary; Petr Dvorský: kontrabas; Bharata Rajnosek: saxofony, flétna, klarinet, pozoun. Koncert kanadsk√© zpƒõvaƒçky, b√Ωvale ƒçlenky Semaforu (Lenka Hartlov√°), s Izraelsk√Ωm virtuozem a vynikaj√≠c√≠ ƒçeskou kapelou. Ashkenazi-Sephardic hudebn√≠ fusion a ethno-jazz. Puvodni i tradicni skladby v neobvykl√Ωch aran≈æm√°. Yair Dalal: oud, housle, zpƒõv; Lenka Lichtenberg: zpƒõv, klavir; Tom√°≈° Reindl: tabla, perkuse; David Dor≈Ø≈æka: kytary; Petr Dvorsk√Ω: kontrabas; Bharata Rajnosek: saxofony, fl√©tna, klarinet, pozoun. “Concert de l’Aube” aux Bains des Pâquis, Quai du Mont-Blanc 30, 1201 Genève. Mugny (accordéon) et David Morhain (percussions). Still lots of room for people to attend workshops. und der Balkan- und Klezmer-Akkordeonistin Franka Lampe. Vendredi 8 avril 20h30; concert de Hotegezugt avec Vincent Thvenaz ( l?orgue!!!) au Temple de Chene, route de Chene 153, 1224 Chene-Bougeries (Geneve, CH). Dimanche10 avril — 17h: audition-concert des participants et des animateurs. L?atelier sera conduit par Michel Borzykowski (instr. vent et danse), Pier-Yves Tetu (accordeon) et Bianca Favez (violon) du groupe HOTEGEZUGT. Il est destin? aux musiciens de tous ges et tous niveaux. Cost: 150.- Frs (130.- pour membres MusiJeunes). Repas en commun (apportez vos piques-niques!). Boissons offertes. Entrée libre! Venez nombreux! Faites passer l’information! fête ses 10 ans d’existence cet été. Terre n’est pas achevée ! leurs chants, qui furent ainsi transmis de génération en génération. chants dont certains peuvent etre repris en chour. 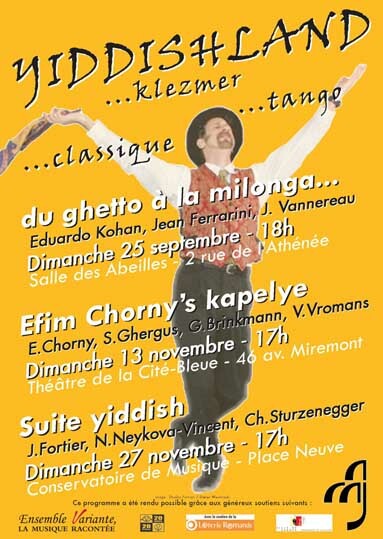 klezmer avec les musiques d’aujourd’hui. ils font un concert, accompagné par deux hazzanim. Click on the YouTube arrow to view clips from a concert of the Vienna Jewish Choir. Lloïca Czakis: chant, Juan Lucas Aisemberg: violon, Ivo De Greef: piano. rencontre de deux cultures: la chanson yiddish et le tango. et les camps de concentration. This item caught our attention. Good People supporting each other against hate and rage. And music as well as marching played a part. capital — literally, in some cases. the country’s Jews that in some cases turned violent. . .
Vanaf 14.00 uur kunt u de reservering afhalen in Boerderij “De Benedenhof”. For complete information, email the school. Do you and/or your child(ren) want to follow our Jewish music lessons, than please send your name, address, phone/mobile, e-mail address & title(s) of the lesson programs to: mail@jewishmusicschool.nl or Jewish Music School, Postbus 15894, 1001 NJ Amsterdam. You also can phone us: 020 624 11 32 / 06 166 463 75. The administration of the Music School Amsterdam sends you the “Aanmeldingsformulier” by post. Please subscribe before the 8th of September 2007. Please forward this message ! 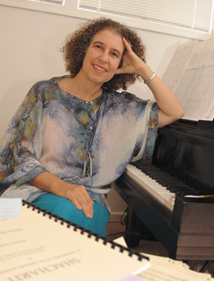 The Jewish Music School exclusively teaches Jewish music under professional coaching and guidance. The school offers students, irrespective of your background, a wide range of educational programs. The Jewish Music School wants to provide a hospitable environment for everyone. for yougsters and adults. The levels vary from amateurs to (semi)professionals. The lessons – mainly in groups – are in Dutch, English or Hebrew. The teachers have a vast experience in teaching Jewish music in all its varieties from Ashkenazim (Eastern European Jews) as well as the Sephardim (Spanish-Portuguese Jews). At the moment JMS is organizing and scheduling the educational program for 2007-2008. Terezin – Magdeburska kasarna (Tyrsova ulice, Terezín, 411 55, Czech republic). De belles musiques en perspective… nous nous réjouissons de vous y rencontrer! pianist Paul Prenen. The performances are supported by the Wilhelmina E.
A wonderful sounding women’s choir has contacted me at JMWC announcing their presence…. They sing exclusively Jewish music, and you can hear samples on their website– Here you’ll definitely find something to delight in. Two of their CDs are devoted to Hebrew songs, but they sing liturgical pieces and Yiddish and Russian lanugage songs on their other two CDs which include many solos for folk music as well as choral works : Visit Adash Women’s choir at: http://www1.osu.cz/adash/index-eng.php. 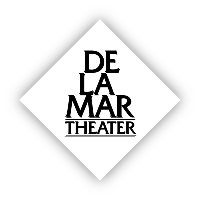 See more info with dates and times….